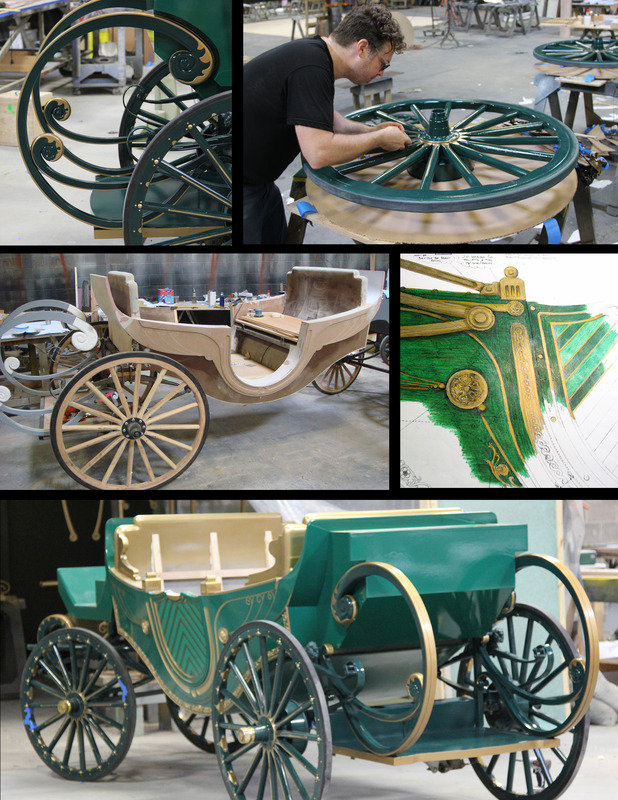 Oz the Great and Powerful Carriage Fabrication - Ravenswood Studio, Inc.
For the 2013 release of the prequel movie, Oz the Great and Powerful, Ravenswood Studio built not one but two amazing carriages. 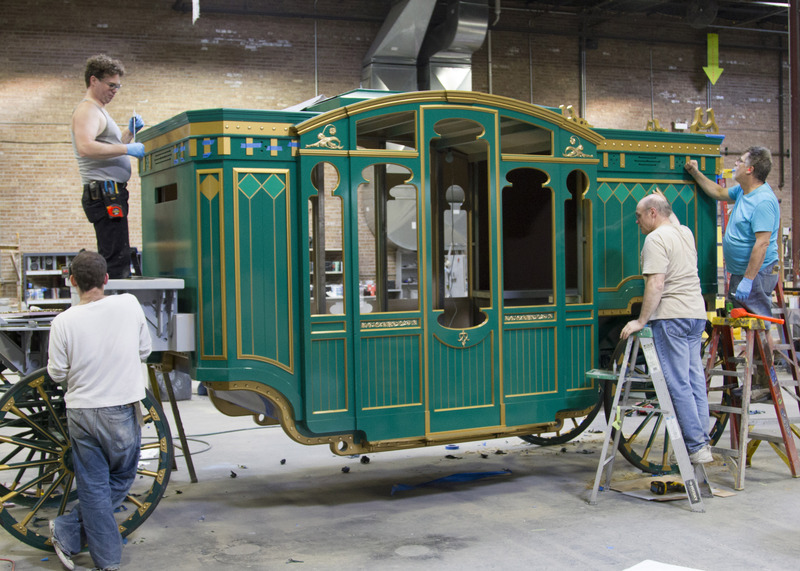 One was an ornate open carriage and the other was an enclosed sedan, shown below. This project was very hush hush for more than two years before the release of the movie and after it was delivered before filming started we forgot about this incredible project. 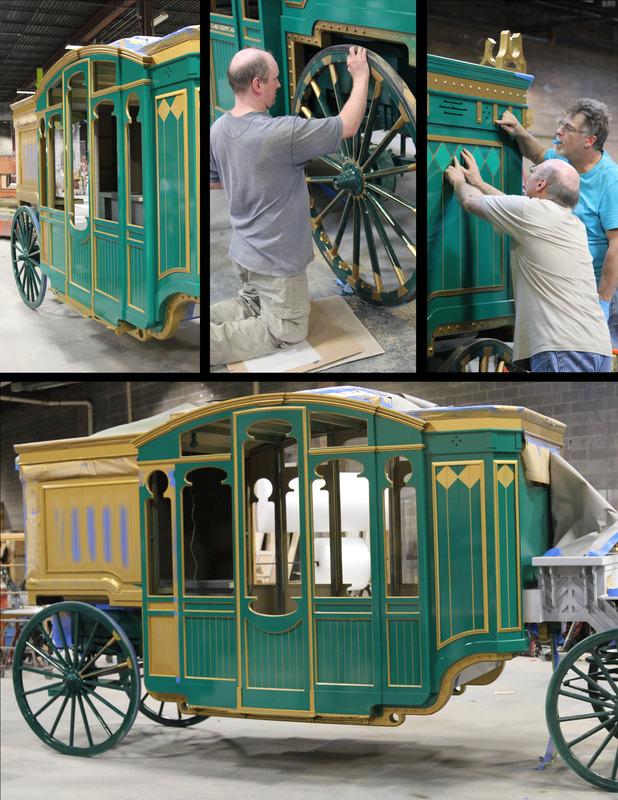 But seeing it again while looking through our archives we wanted to share the fantastic job our craftsman and scenic artists accomplished to make an incredible part of the Emerald City come to life on the big screen.